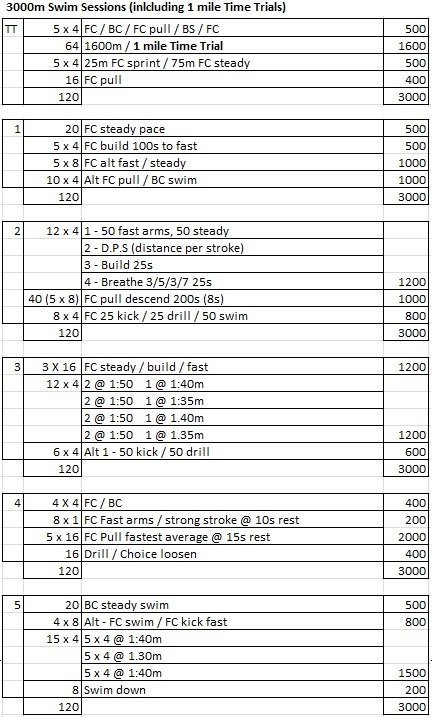 Here are a set of 3000m swim session training plans I use. When I started swimming properly (1999! ), I used to swim 120 lengths and it would take me about an hour and 20. Over a few months I reduced this to about 55 minutes and now I can do it in under the hour. When I was training for a Sprint Triathlon in August 2009, I did two sessions a week of 3000 – 3400m. I found that it was just beyond my comfort zone, so whilst good at the time, I think 3000m is a better distance for me to train at. 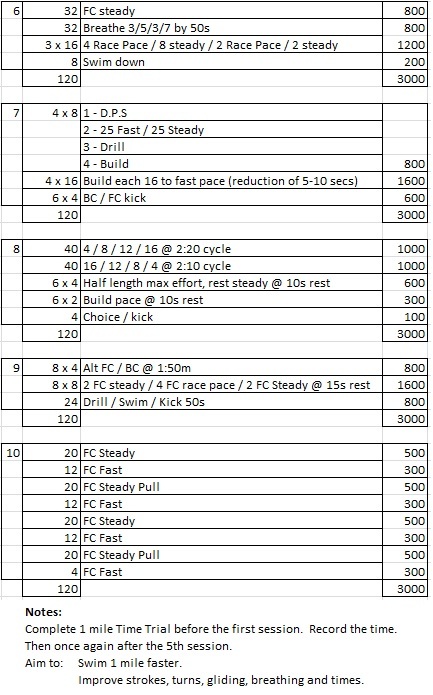 The idea is to do a 1 mile Time Trial before starting the sessions, then do another one after 5 sessions. I time my swims (with my Timex Heart Rate Monitor 30 lap watch), down to the splits and I’m able to compare my swim times and see if I’m progressing.